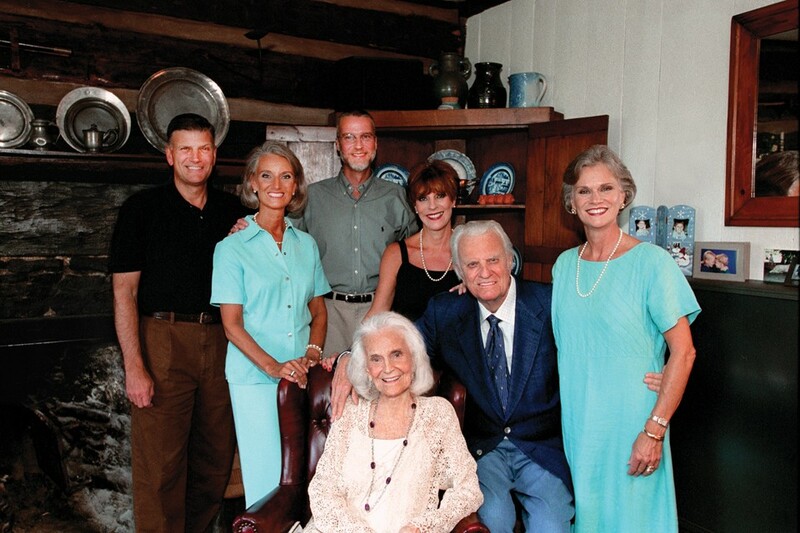 Billy Graham's wife, Ruth Bell Graham, passed away in 2007, but their children still speak of her kind spirit. She was the go-to parent when Billy Graham was traveling. 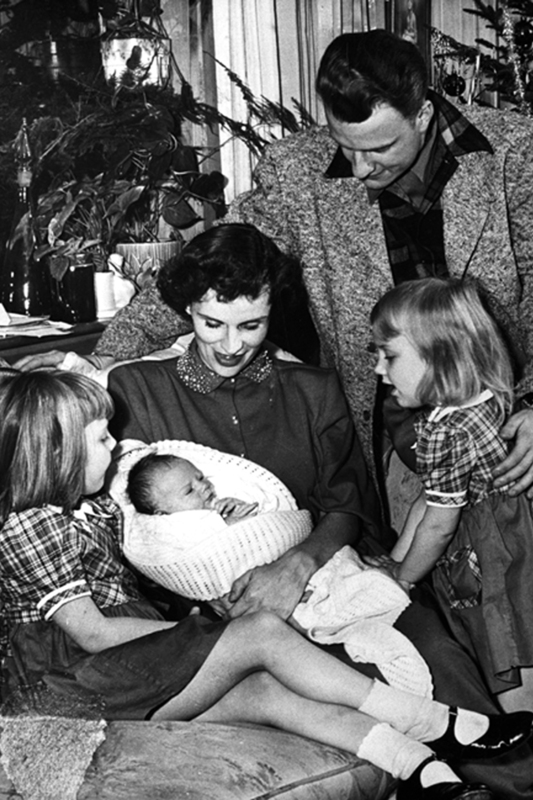 "Ruth also was a wonderful mother," Billy Graham has said. "Her task wasn’t easy since I was away from home so much, but she handled our children with both great love and wise discipline." 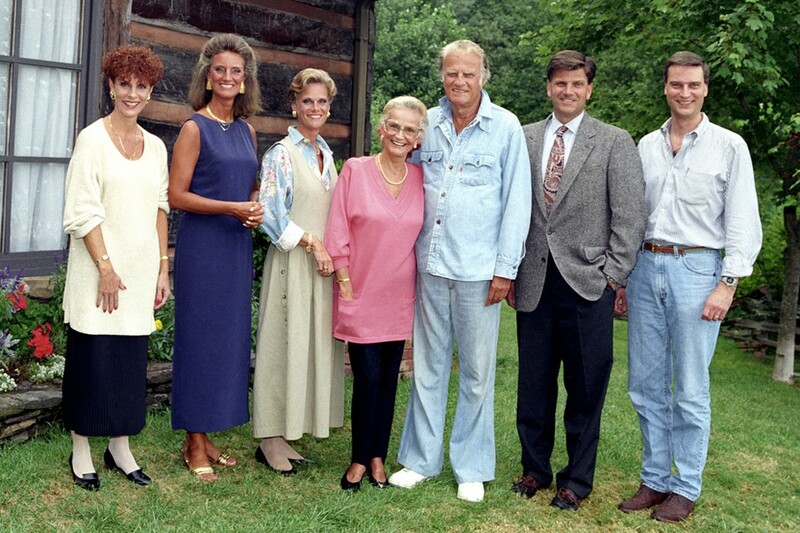 The Graham family enjoying a fall day outside their home, which Ruth helped design while her husband was away. The children from left to right: Anne, Ruth, Gigi and Franklin. The youngest, Ned, would later be added to the family. 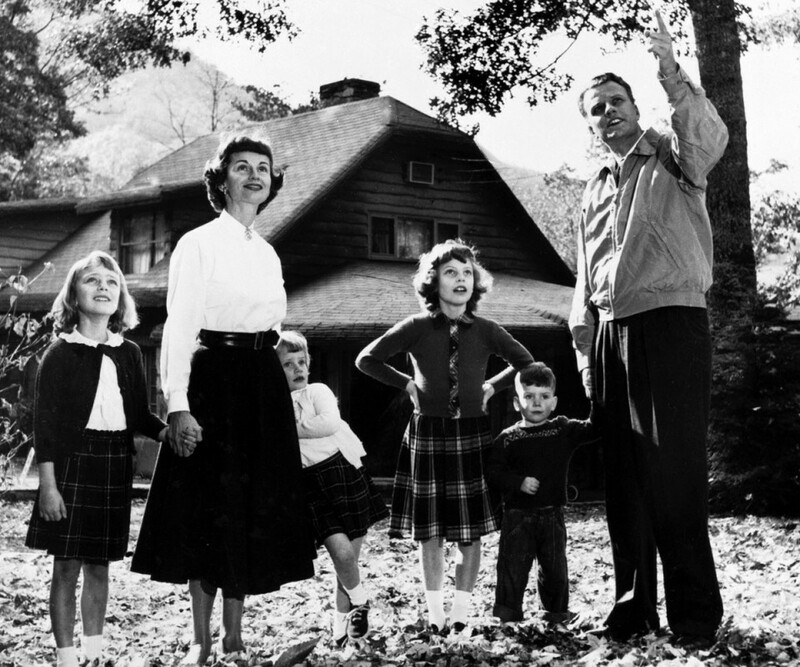 Billy Graham wrestled with leaving his growing family at home. Ruth Graham said the children were good about him being away "because they knew why he was gone." She learned to rely on Christ when she felt lonely and kept in touch with her husband through letters, funny pictures and phone calls. Five-year-old Virginia (Gigi) and 2-year-old Anne admiring baby Ruth, nicknamed Bunny, in 1950. 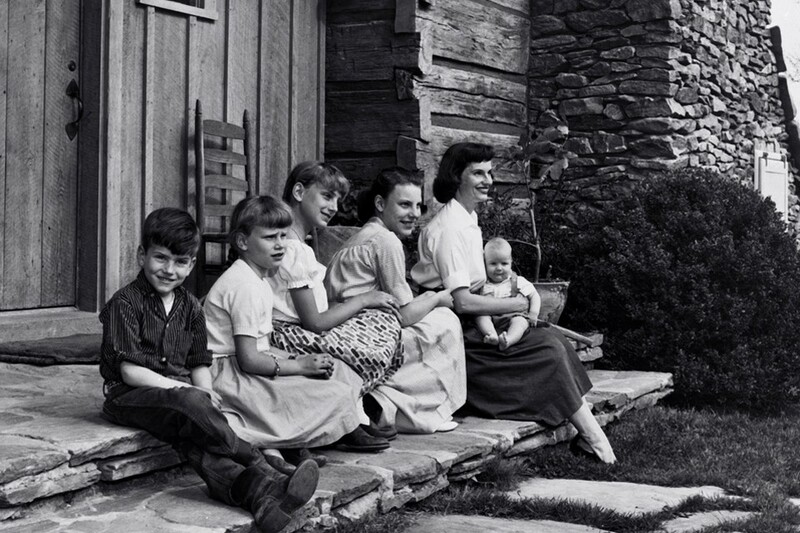 Bible stories were central to Graham family life in the mountains of North Carolina. 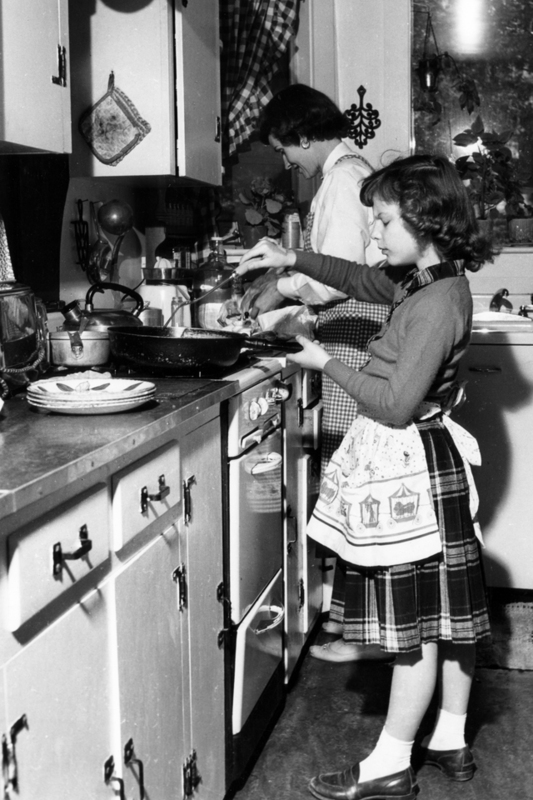 "I would go down to my mother’s room early in the morning. Her light would be on, and I would find her at her big, flat-top desk," her daughter, Anne Graham Lotz wrote. "She would have about 14 different translations of the Bible spread out. She would be reading and studying her Bible. I would go down to her room late at night. I would see the light on underneath the door and I’d go in, and she would be on her knees in prayer." 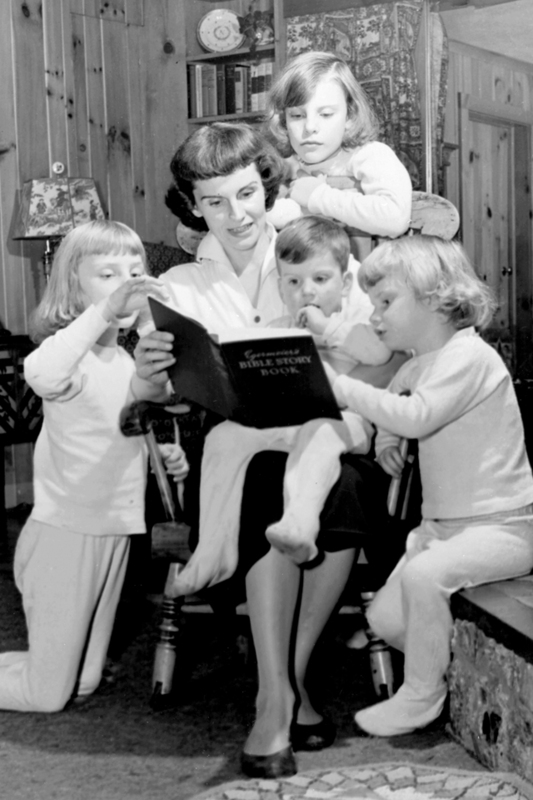 Ruth Graham and the children stayed busy when Billy Graham was away. "Not once did my mother make us feel that by staying behind she was sacrificing her life for us children," her oldest daughter, Gigi, remembers. "By her sweet, positive example, her consistently unselfish spirit, and her total reliance upon the Person of Jesus Christ, we were kept from becoming bitter or resentful. 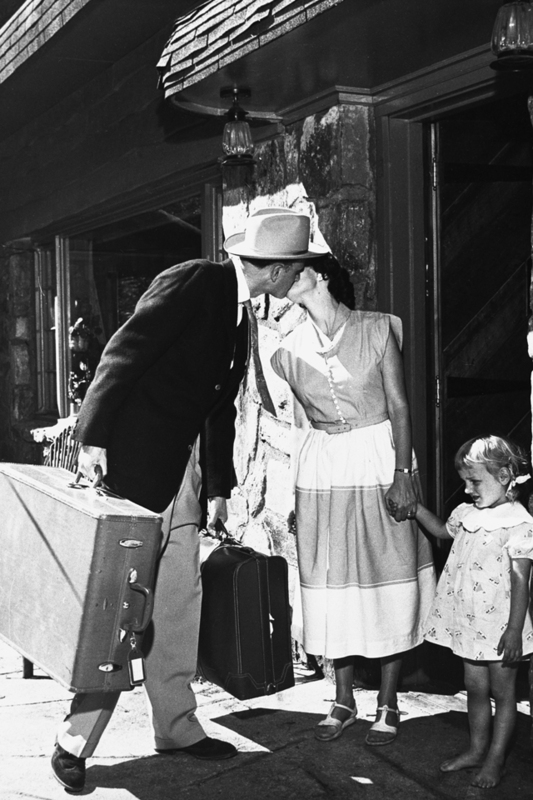 Instead, we learned to look for ways to keep busy and prepare for Daddy’s homecoming." Ned Graham was born in 1958, the youngest of five. All five children were greatly influenced by their strong yet humble mother. "There is absolutely no insecurity in the woman," he later wrote of his mother. "There is total and absolute peace and confidence of who she is in God through Christ." 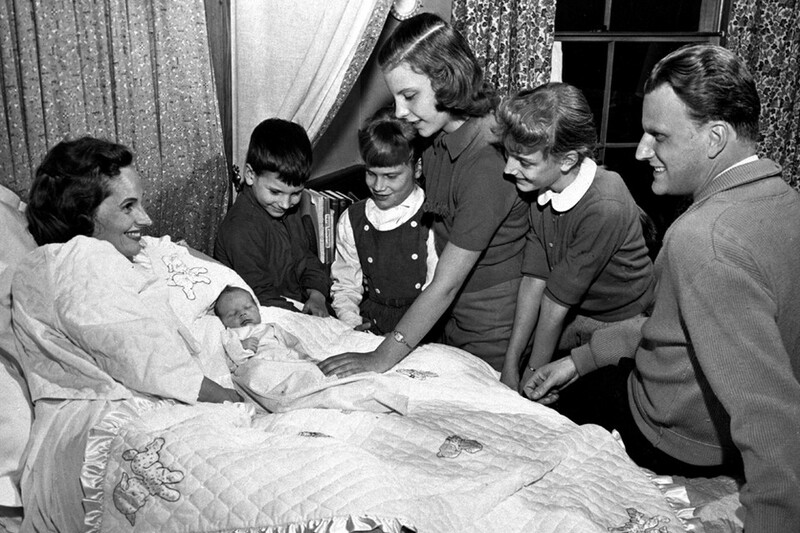 Billy Graham didn't take his wife's role as mother of five lightly. "Without her willingness to bear the major responsibility for raising our children, my work simply would not have been possible," he has said. Ruth Graham was never one to miss out on fun. 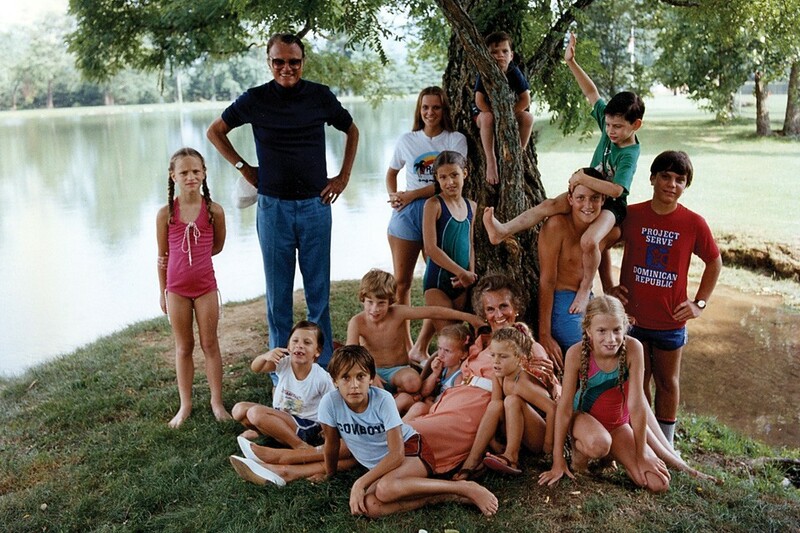 Here, she and Billy Graham are surrounded by their grandchildren in 1982. A family photo in 1993. 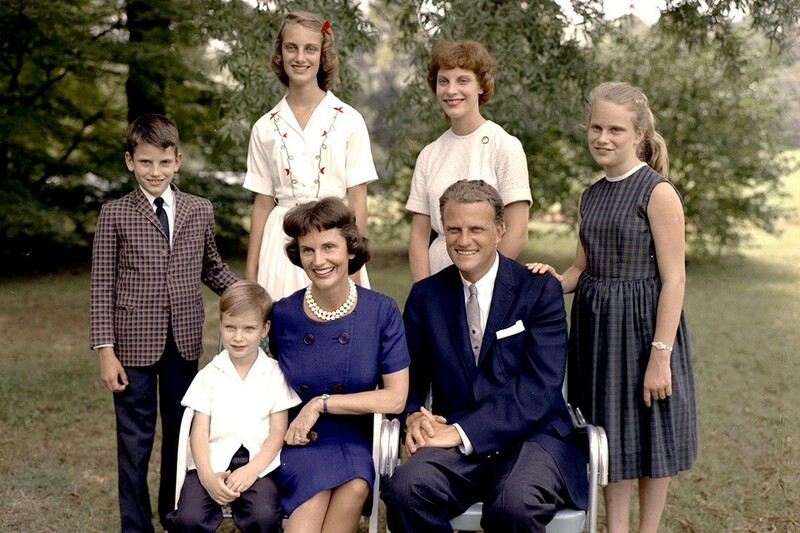 Franklin Graham (second from the right) once spoke about his mother's "bright, cheerful personality," attributing it to "her daily walk with the Lord."